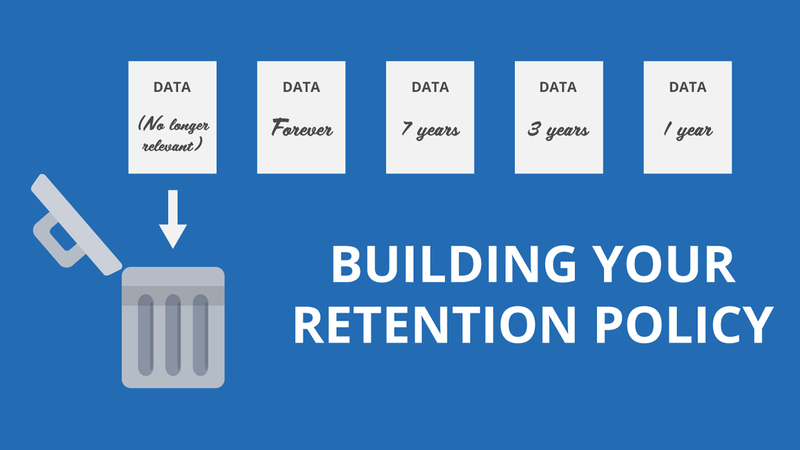 After 20 years in the business of operations management, one of the most frequent questions I get relates to building a record retention policy and the procedures around it. There are many versions out there, but I’m a simple person. I’ll share my simple version and process. If you google this item, you will get many versions. Apparently, retention policies are more like pirate code – they are just guidelines, not hard and fast rules. You can create 3 year categories as well, but I have found that it takes me longer to sort out the 3 year category, so I just lump it with 7 and move on. If the items are paper, then I put them in bankers boxes and clearly mark the destruction date as 7 years from the year end. Same with construction data, but 10 years. The permanent records are marked as permanent and stored in a separate location. The records can be sorted by type or destruction date. Each year, pull the boxes with the expired destruction date and send to the shredder. I think that electronic records are sometimes more difficult, but the same policy can be used by creating years in your file structure. Start each year with a fresh folder with the year on it and electronic retention. If you have, let’s say, an electronic folder labeled bank statements, then within that folder would be a folder for each year. Within each year are your saved downloads, scans, etc of the bank statements. When the 7 years for retaining those files is up (although I think you only have to keep it for 3, but again, I’m a simple person ) you can delete the year that has expired. That’s my simple retention policy. Feel free to pass it on if it might help someone you know.